Sherman brings a deeply rooted post bop approach to a program of originals and standards, which convincingly carry on the art form with a potent level of invigorating musicianship. His music is relentlessly energetic, hard charging, and brimming with incredible improvisations from his deeply rooted skillset. In addition Sherman has recorded 18 CD’s as a leader, and over 150 CD’s as a sideman. In 2011 he was given the honor of representing the United States on the US State Department /Jazz Ambassadors tour abroad with over 30 concerts and workshops in Russia, and Southeast Asia. 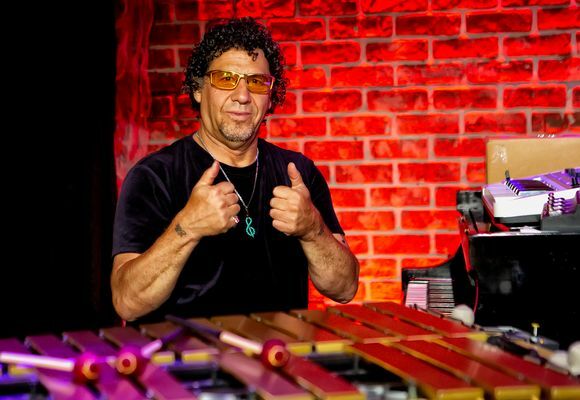 He continues to carry on the jazz tradition through playing and education on piano/vibes and drums as an 11 year Juilliard Jazz professor of Vibraphone and Doubles For Drummers.